Douglas A. Garofalo, 2009. Courtesy of University of Illinois at Chicago. The School of Architecture at the University of Illinois at Chicago has established the Douglas A. Garofalo Fellowship. Named in honor of architect and educator Doug Garofalo (1958–2011), this newly created nine-month teaching fellowship provides emerging designers with the opportunity to teach studio and seminar courses in the undergraduate and graduate programs and conduct independent design research. The fellowship also includes a public lecture and exhibition in the spring. With almost twenty-five years of teaching and professional practice, Doug Garofalo, FAIA, was at the forefront of introducing advanced digital and conceptual models to architectural design and education. In collaboration with small offices in New York and Cincinnati, Garofalo Architects realized the earliest significant digitally informed project in the United States, the Korean Presbyterian Church of New York in Queens (1996–99). Garofalo was the subject of a one-person exhibition at the Art Institute of Chicago (2006), a recipient of awards from both the American Institute of Architects Chicago and the Richard H. Driehaus Foundation for the Hyde Park Art Center (2007), and was awarded a United States Artist (USA) Fellowship (2008). 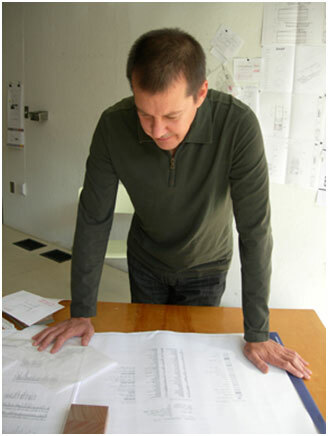 Holding professional degrees from the University of Notre Dame and Yale University, Garofalo began his teaching career at the UIC School of Architecture in 1987, moving through all faculty ranks from part-time adjunct to tenured full professor, and also serving as interim director from 2001 to 2003. Garofalo also served on the board of the Graham Foundation for Advanced Studies in the Fine Arts. The University of Illinois at Chicago (UIC) is one of the country's major urban public research universities, and it is from this context that the School of Architecture extends its three-part agenda: to condition the metropolis, construct new audiences, and circulate ideas. Established in 1965, UIC now is one of the top 200 research-funded institutions in the world. The School of Architecture benefits from its commitment to building a dynamic and diverse collection of faculty, and intellectual, aesthetic, and cultural interests.